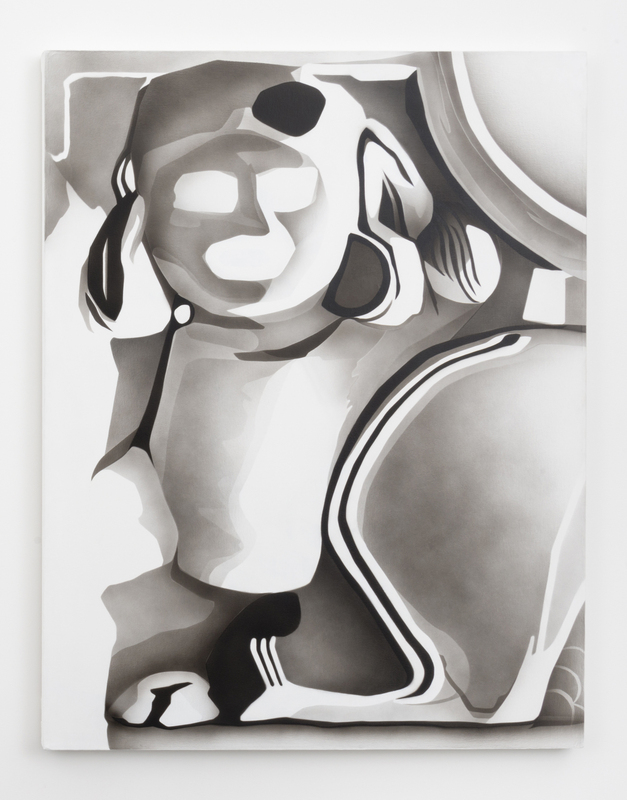 Joe Shef­tel is pleased to present Ver­tigo, a three-person show fea­tur­ing Craig Kalpakjian, Tracy Molis and John Trem­blay. An open­ing recep­tion will be held on Sun­day, Sep­tem­ber 7, from 6-8pm. 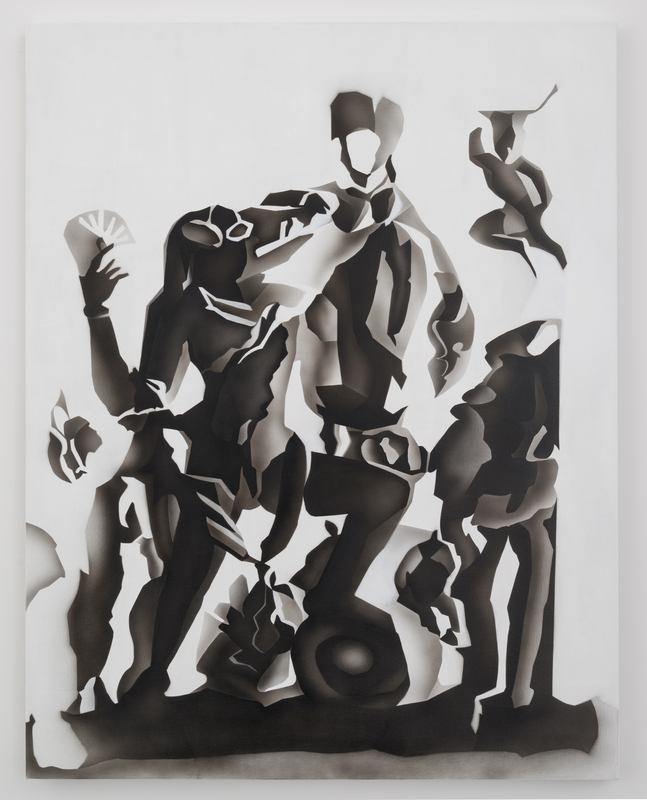 The exhi­bi­tion will be on view from Sep­tem­ber 7– Octo­ber 19, 2014. 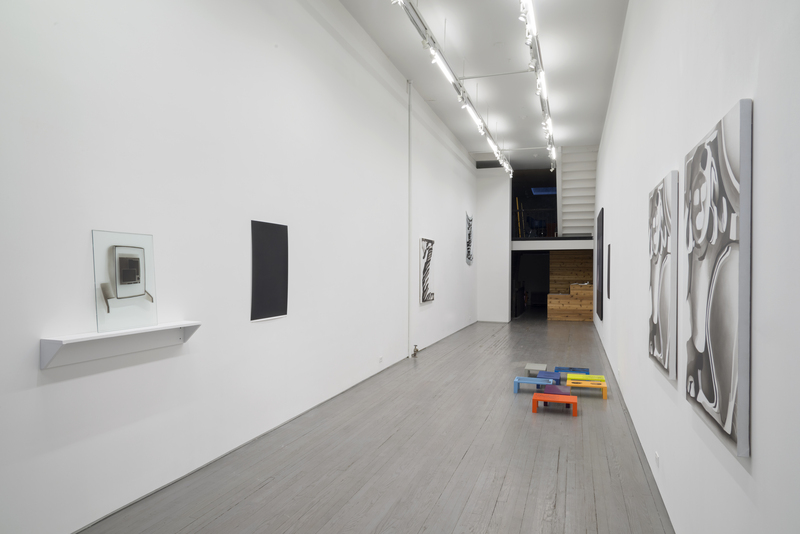 The works in this show con­sti­tute ver­tig­i­nous moments where the prob­a­ble and improb­a­ble col­lide. 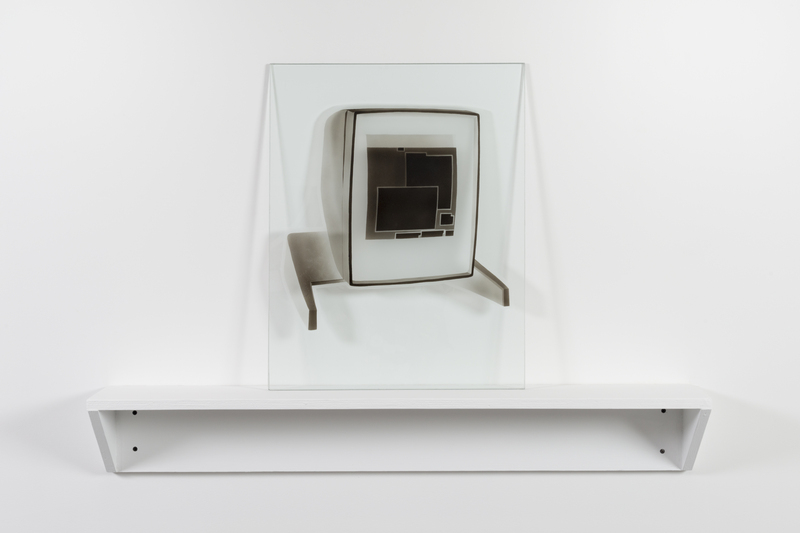 By play­ing with the per­cep­tion of time and the per­cep­tion of image, work­ing in dif­fer­ent media, these three artists exam­ine dis­tinc­tions and slip­pages between the real and the unreal. They pro­pose an instruc­tive alter­na­tive to cer­tainty. Kalpakjian’s images present inter­lock­ing planes in views that are the­o­ret­i­cally impos­si­ble — yet man­age to exist. Using non-standard types of per­spec­tive, these works show geo­met­ric per­mu­ta­tions of non-aligned angles. Kalpakjian’s hand­writ­ten texts over­printed in black con­dense and negate infor­ma­tion and lan­guage into some­thing unread­able but still coher­ent as a form of encryp­tion. Sim­i­larly, Molis presents us with an obscure image of the graph­i­cal user inter­face com­puter mon­i­tor. This ver­ti­cal dis­play for­mat was almost instan­ta­neously obso­lete and for­got­ten, yet some­how the design has sur­vived time and remains familiar.Her paint­ings func­tion in this same vein, dis­tort­ing arche­typal sculp­tures to cap­ture the jour­ney of their imagery over eons. 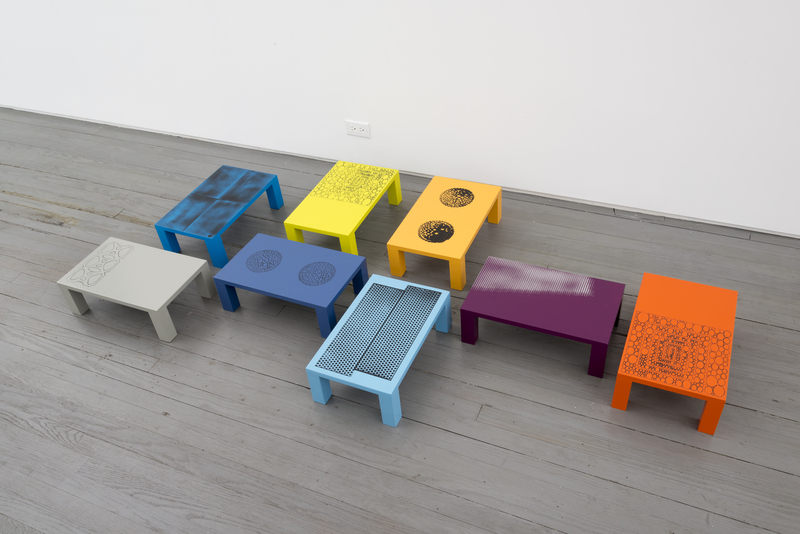 Tremblay’s pieces chal­lenge the phys­i­cal ori­en­ta­tion of our thoughts, most directly, by tak­ing the fixed loca­tion of the paint­ing from the wall to the floor, in the form of a low step-like table. The paint­ings’ tran­si­tion from the ver­ti­cal con­fig­u­ra­tion to ankle-height-horizontal allows them to be read as images or as objects. They dis­ori­ent the loca­tion where view­ing occurs by tak­ing the famil­iar wall work and pre­sent­ing it in an unex­pected loca­tion. 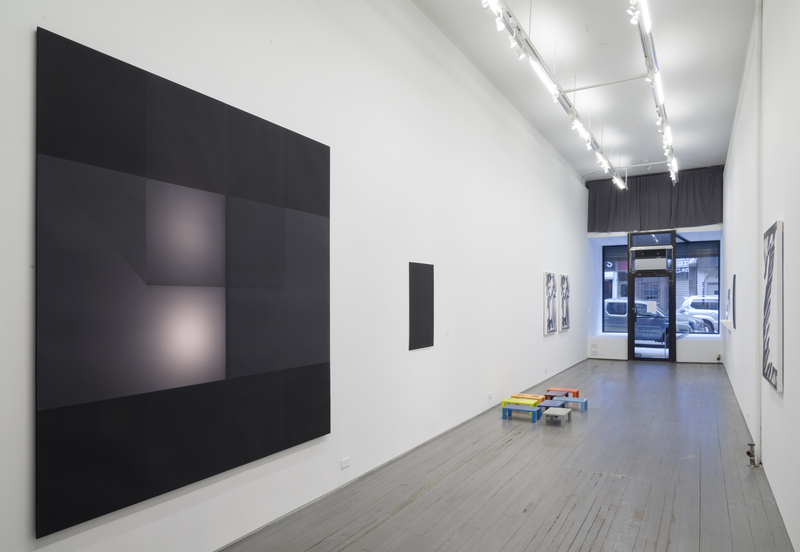 The images depicted in black vary with bright col­ors and occur in a low space where sub­jects often go unno­ticed. Craig Kalpakjian is an artist work­ing in New York who has exhib­ited widely through­out the U.S. and Europe. Recent exhibits includ­ing his work include ‘The Opti­cal Uncon­scious’ at The Gebert Insti­tute in Switzer­land; ‘Drone-the Auto­mated Image’ in Mon­treal; ‘After Pho­to­shop: Manip­u­lated Pho­tog­ra­phy in the Dig­i­tal Age’, at the Met­ro­pol­i­tan Museum of Art; ‘Enter­tain­ment’ at Greene Naf­tali Gallery in New York; and ‘The Evryali Score’ at David Zwirner Gallery in New York. 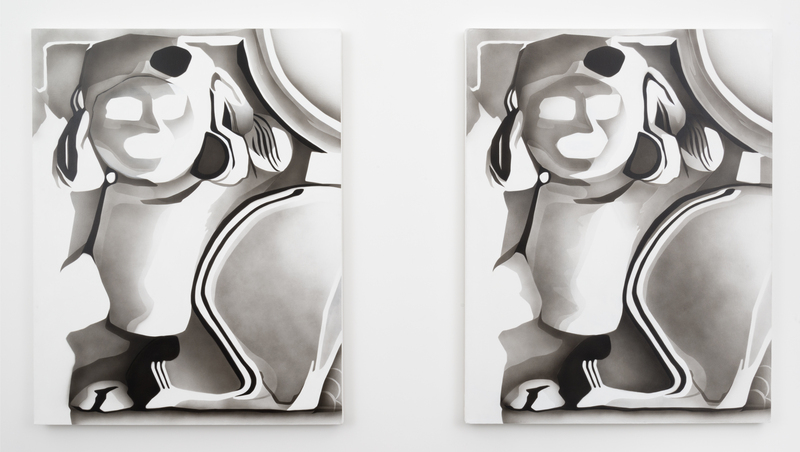 His work was recently fea­tured in Blind Spot Mag­a­zine. 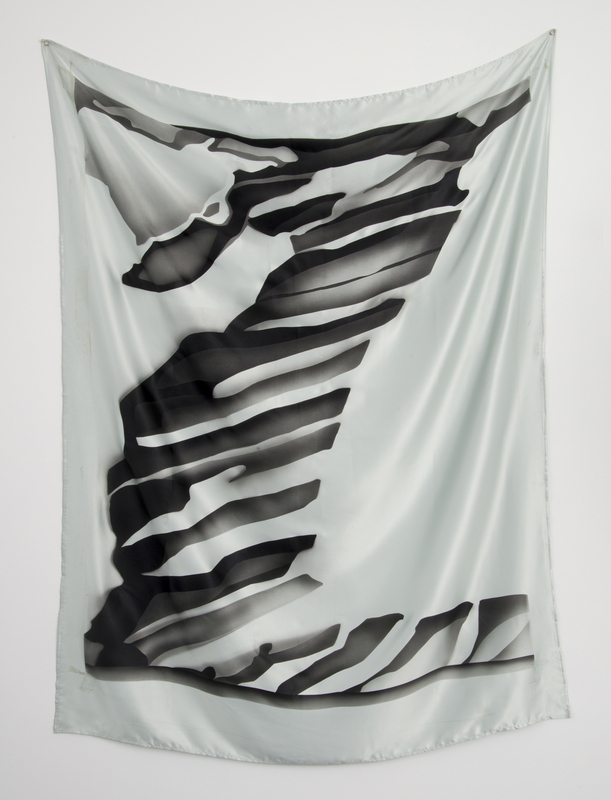 Tracy Molis is an artist based in New York. 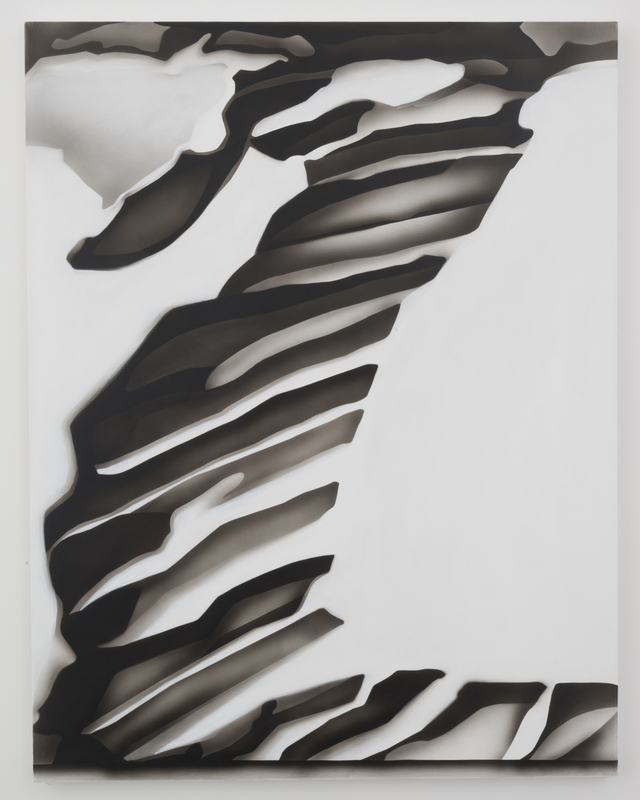 Recent exhi­bi­tions and events include Kijidome, Boston; The Jew­ish Museum, New York; Tor­rance Ship­man Gallery, Brook­lyn; The Whit­ney Hous­ton Bien­nial, New York; The Pitch Project, Mil­wau­kee; ReMap4 in Athens, Greece; Stedelijk Muse­ums’ Her­to­gen­bosch, Nether­lands; and Cab­i­net Mag­a­zine, Brook­lyn. This year her work in the Whit­ney Hous­ton Bien­nial was fea­tured in the New York Times. She received her MFA from Colum­bia Uni­ver­sity in 2011. 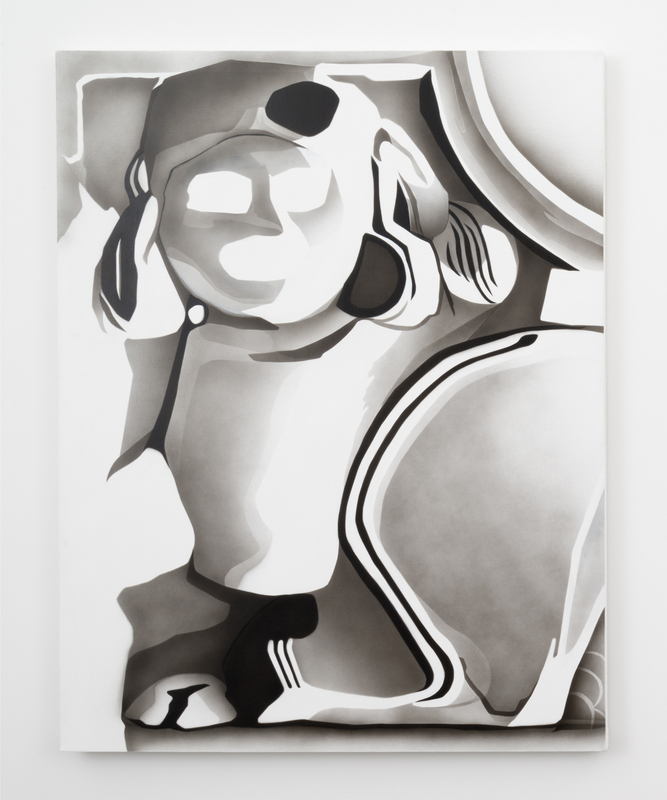 John Trem­blay is an artist based in New York. 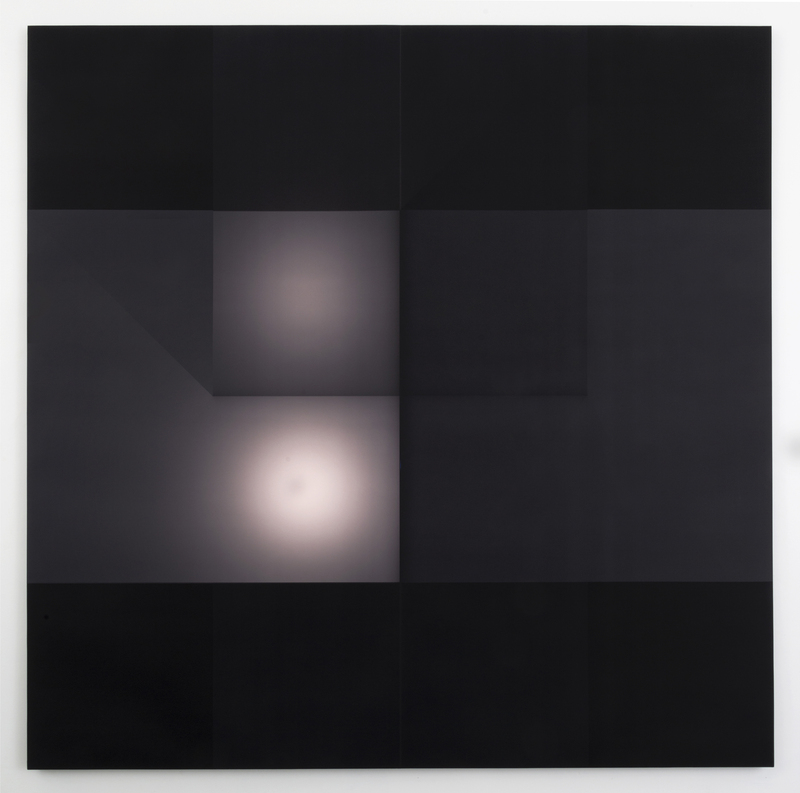 He has had numer­ous inter­na­tional solo exhi­bi­tion includ­ing Stu­di­olo, Zurich, Galerie Francesca Pia, Zurich, and Paula Cooper Gallery, New York. Recent group exhi­bi­tions include shows at Non-Objective Sud, France, Gagosian Gallery, New York; New Jer­seyy, Basel, Palais de Tokyo, Paris and Kun­sthalle Bern, Switzer­land. 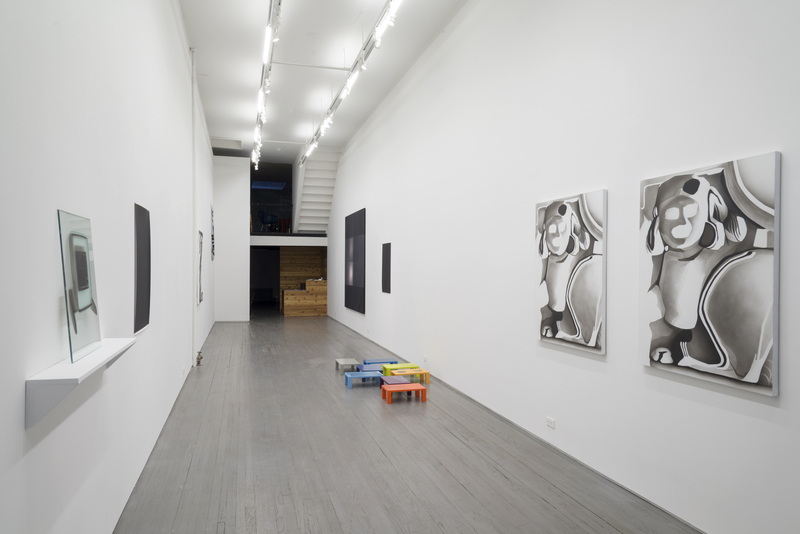 Addi­tion­ally, Trem­blay has curated projects in both the United States and Europe. For press inquiries and images, please con­tact the gallery at mail@joesheftelgallery.com.